So, how would you like a 5.5-inch smartphone with a metal build, an octa-core CPU, 3GB of RAM, 13MP camera, and a fingerprint scanner at a price that sounds too good to be true? Indeed, many eyebrow-raising propositions like this have been made by Chinese vendors this year, and with a promising spec sheet like that, the Elephone M2 will surely entertain deal hunters' minds. More specifically, customers outside its land of origin can get the M2 from China-based online resellers for a price in the ballpark of $160-$190 excluding shipping costs and import taxes. After some hands-on time spent with Elephone's latest, we're keen on sharing our impressions – the good, the bad, and the ugly. 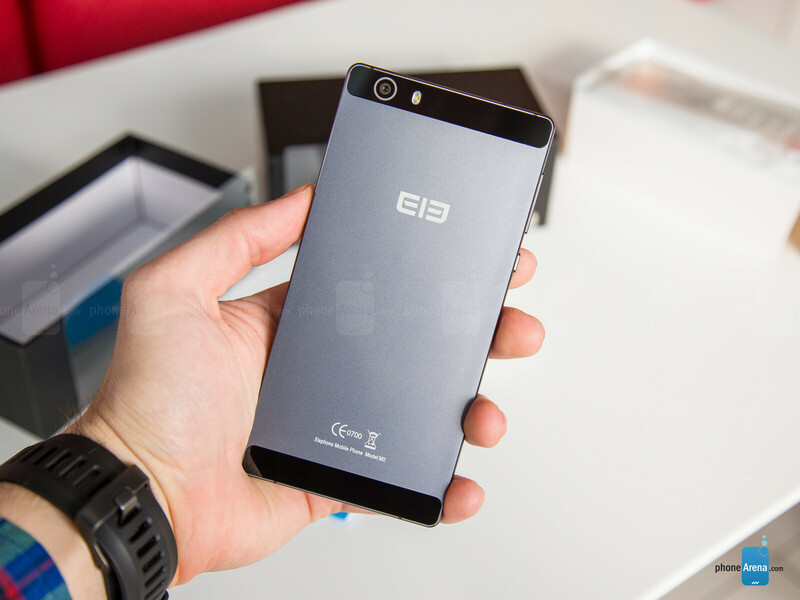 The Elephone M2 has a bulk-ish rectangular body, which is made of aluminum alloy. Holding it, we realized this one's quite tall for a 5.5-inch smartphone with those big bezels on the top and bottom. The M2 doesn't feature front-firing speakers, and there is no manufacturer logo to disturb the serene appearance of the front. For the M2, Elephone shopped 5.5-inch, 1080p resolution IPS LCD panels from LG. With a pixel density of around 400ppi, the display is sharp enough to reveal anything you throw at it. It's not the brightest panel we've ever seen, although the illumination is sufficient for the most part. Unlike most manufacturers who either leave their displays factory-calibrated, or merely let users adjust color temperature with a slider, the Elephone M2 ships with a comprehensive display adjustment tool, called MiraVision. It let us easily remove the slight yellow tint that was present by default, as well as adjust other display properties, such as brightness and contrast, to our liking. In China, the Elephone M2 ships with the Ele UI interface, which is a bright and light-hearted re-skin of Android Lollipop. The unit we had our hands-on time with, however, runs a nondescript AOSP Android 5.1 build, outdated icons and everything. Save for the 'Backup & Restore' app, the 'Service' app for sending feedback, and the 'Smart Wake' app for "draw letters on the screen" gesture control, there doesn't seem to be anything else modified by Elephone. We'd rather not reflect any further on the M2's interface aspect, for we feel the presence of Ele UI would make for a much different user experience. The Elephone M2 is powered by a MediaTek MT6753 chipset with a true octa-core (ARM Cortex-A53) CPU with a maximum speed of 1.5GHz, a Mali-T720 GPU, and 3GB of RAM memory. This is the Taiwanese chip-maker's "super-mid" solution, which employs power-efficient A53, rather than performance-oriented A57 cores, and employs the Mali-T720's cost-efficient graphics, rather than a premium solution like the Mali-T760 (found in the Samsung Galaxy S6). This configuration delivers decent performance, especially considering the M2's budget price point. an absolute behemoth of a 5.5-incher! In terms of connectivity, the device is LTE Cat 4-enabled, and supports the following FDD-LTE bands: 800/900/1800/2100/2600MHz. We advise potential buyers to ask their wireless carrier which bands it uses, then check whether they are on the Elephone M2's supported list. Elephone's mid-ranger comes with a 13MP main camera, powered by Sony's IMX 214 sensor, the same one used in the Motorola Nexus 6, the Xiaomi Mi Note Pro, and countless other smartphones from 2015. 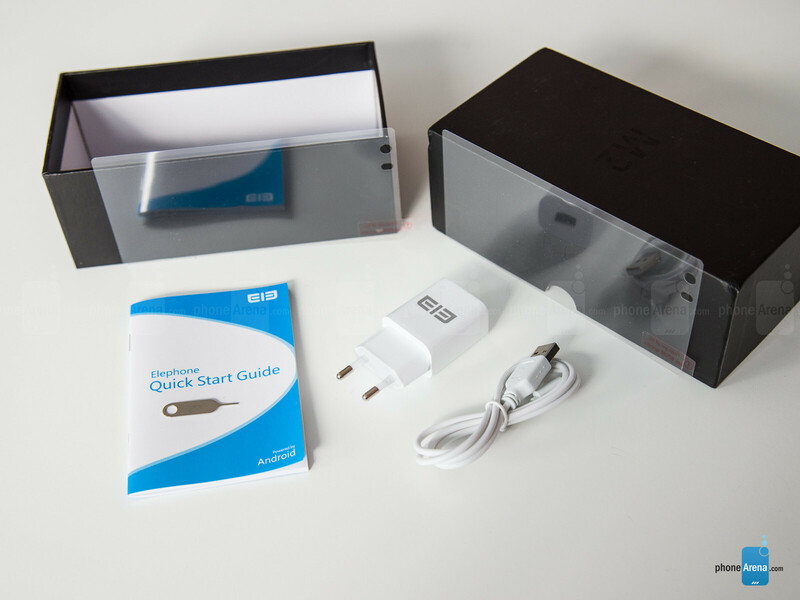 The camera, which is flush with the Elephone M2's body, is accompanied by a single LED flash. On the front, we have a 5MP unit for selfies and video chat. The camera app on the M2 may not look like much, but it is very feature-rich and offers pretty much everything a mobile photography enthusiast may be after, save for manual controls and Instagram-like filters. The Elephone M2 does pack a punch in terms of looks and hardware, but it's also an absolute behemoth of a 5.5-incher, and the software on the unit we spent some time with feels unfinished. More than anything, we think the handset is a showcase of Elephone's potential to grow as a smartphone maker. Still, the M2 is sure to stir some interest in China, where the combination of good looks, a promising spec sheet, and an aggressive price has become the go-to formula for enterprising manufacturers looking to make a dent on this challenging market. 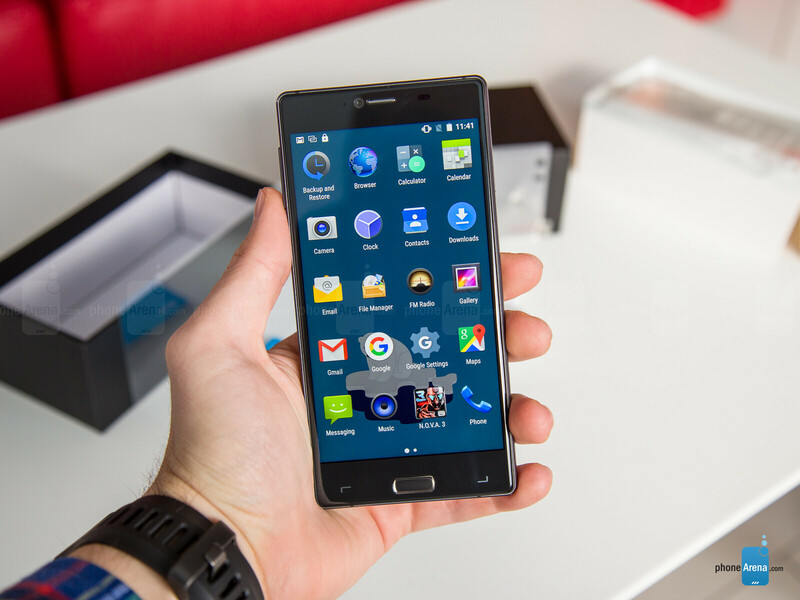 You can learn more about the Elephone M2 right here. Meanwhile, Elephone's going to have a crazy Christmas and New Year promotion taking place on December 12 and December 16-18, in which the M2, as well as a host of other devices by the company are going to be on sale! Sorry, but 'my hands' don't go on any amateur smartphone. Am I seeing things or did I see the phone struggle to display those pictures? It almost looks like the picture is pixelated, then clears up. I see that problem at 1:16. If anybody is still interested in this smartphone it now costs $129 at Geekbuying.